Blue marl. Named-place: "Petit Curoulet". Exposure: Northwest. Altitude: 300 m.
1 ha. Age of the vines: between 10 and 30 years. Winter and spring : Cane pruning (Guyot). Arch trained. Addition of organic matter at the end of winter. Spring and summer : Disbudding then tying-up. Pneumatic pressing. Static gravity settling. Alcoholic fermentation, malolactic fermentation in stainless steel vats. Aging for 70 months in 228-litre barrels in an unconditioned room (attic) with no topping up to promote the development of a "flor" on the surface of the wine. This is called aging "under flor". The "flor" protects the wine from abrupt oxidation and the yeast in this flor regenerates naturally. 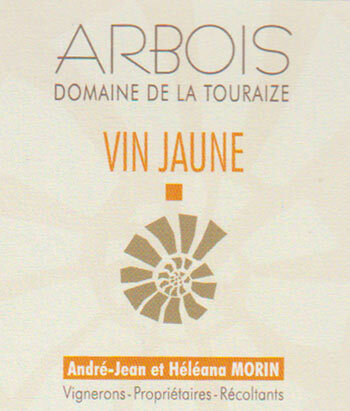 During this slow process, the yeast dies, breaks down, and thus participates in the unique olfactory and sensory complexity and diversity of Vin Jaune. Gravity bottling with no filtration in 62 cl "clavelin" bottles. Cork stopper 49/24. coq au Vin Jaune (chicken with white wine sauce), Morel mushrooms on toast, dishes with curry and ginger, Franche-Comté cheese platter, walnut desserts.